Leading Supplier and Manufacturer from Gurgaon, our product range includes Display Boards such as Pylon Totem Illuminated and Totem Pylon. We offer best quality product all over the world. 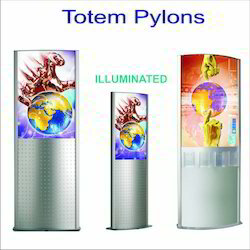 Our company manufacture a large quantity of Pylon Totem Illuminated.These Products are highly specific and have economic prices.